Smishing scams use text messages to establish contact with the intended victim to later access their personal information. The scam begins with a supposedly urgent text appearing to be from the victim’s financial institution. The text may claim that the victim’s checking account is locked, or that there has been an unauthorized purchase charged to the victim’s account. The scammer will warn that immediate action must be taken. The victim is then instructed to call a specified number and, upon doing so, will be asked to share their financial information. Once they’ve got their hands on this info, the scammer is free to steal the victim’s identity, empty their accounts or go on a shopping spree on the victim’s dime. 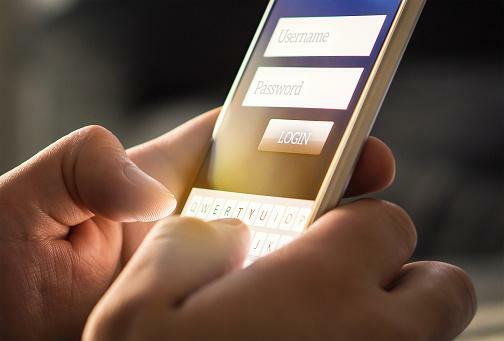 Smishing scams primarily target people who do their banking online, but fraudsters will use any cellphone number they can find. If you own a checking account and a cellphone, you are a candidate for a smishing scam. Your credit union will not alert you of a possible fraud or account lockdown via text; we prefer more personal means to help you know it’s us. Also, the phone number the smishing text instructs you to call is not ours. You can reach us at 866-423-2848. If you’re told to contact us at a different number, it’s not us you’re calling! You can also spot the smishing scam just by looking at the phone number. The text will often appear to come from a number that is obviously fake. If you receive a suspicious-looking text, do not engage the texter! Jot down the scammer’s number and delete the message. Let us know about the smishing attempt, tell all your friends and alert the FTC. If you’ve fallen for the scam and your accounts have been compromised, alert your credit card companies and be sure to let us know, too. Always use two-factor authentication for banking app and sites. Use strong and different passwords across your accounts and apps. Ignore all text messages from unknown numbers. Don’t let those crooks get their hands on your money!